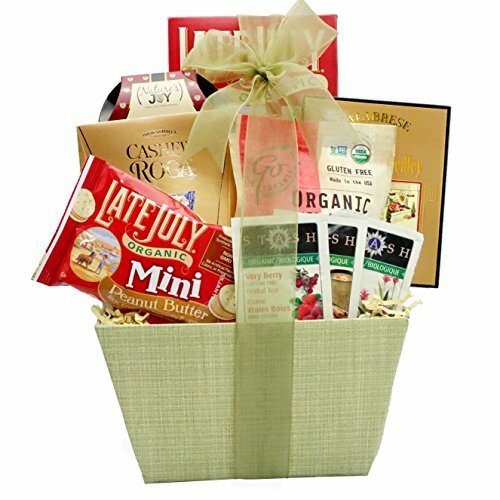 The Organic and Natural Gift Basket is the ideal gift for anyone seeking a healthier option. When looking for an organic and natural gift, sending this gift basket will be sure to please. Basket contains organic cherry sweets, California nature's joy, dried fruit medley, organic tea in four flavors, organic snack crackers, Late July organic peanut butter cookies, and an organic chocolate bar. This gift basket is aesthetically pleasing and hand arranged for optimum design.